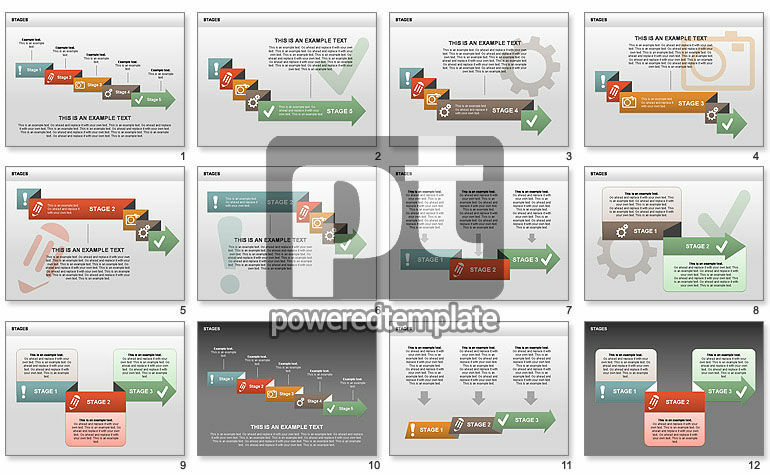 These presentation slides 28347 are complete compatible with Google Slides. Simple download PPTX and open the template in Google Slides. Nice collection of charts and lists to help you with dividing into stages and steps, parting, analysis, step-by-step processes, selection of main moments, etc.